WHITEOUT, a Taylor Jackson novella is free on Instafreebie this week! 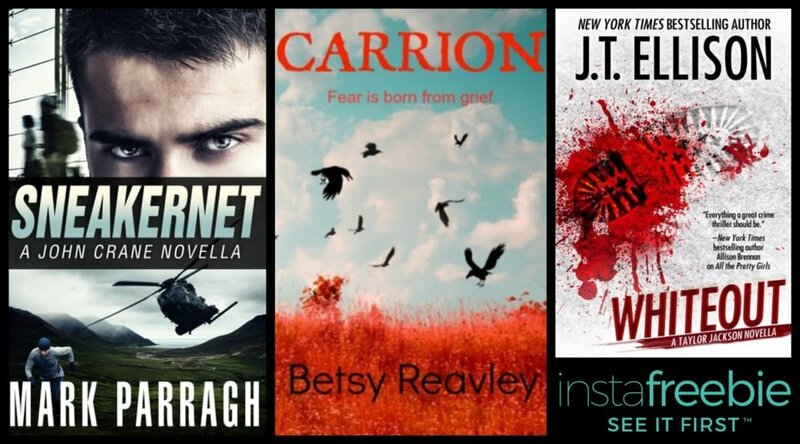 Check out the other free thrillers and mysteries while you're over there. Join Nashville Homicide Lieutenant Taylor Jackson as she races to find a deadly assassin who’s seemingly blended in with the blizzard. Metro Nashville Homicide Lieutenant Taylor Jackson has reluctantly agreed to take the place of her fiancé, FBI profiler John Baldwin, as a presenter at the annual Freedom Conference, a foreign intelligence initiative attended by the best in the business of “clandestine services.” Then a blizzard effectively isolates their hotel on Chesapeake Bay: no power, no generators, and no possibility of outside help. When two guests go missing, and one of them is found dead in his room, Taylor discovers an assassin amongst the spies—one with a deadly score to settle.